saw this vid from Wildwood guitars..
Salamat sa nitro lacquer. Madaling irelic na parang walang. Nangyari. Liquid nail i think. The luthier did the repair, I just stained and applied nitro. And some relic'ing to match the age of the finish. 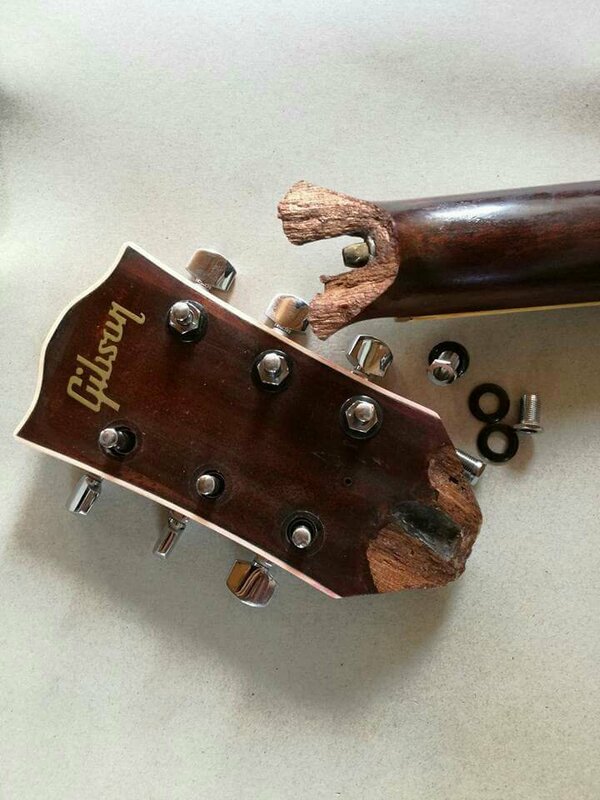 This is whats stopping me from buying a once in a lifetime dream Gibson guitar. Im starting to warm up to Epiphone versions. 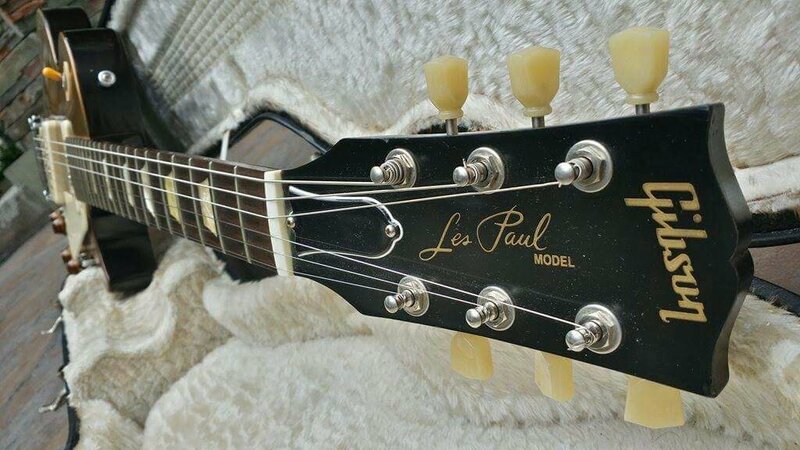 I have 2 les paul special. 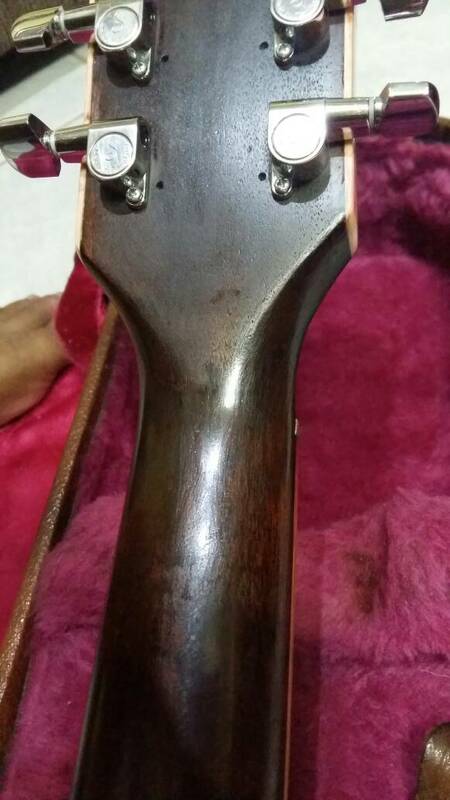 The 97 with the break has a thinner headstock compared to my 05 (no break). This one wont leave me alone. GAS is bubbling. What can you say about the Memphis 2015. 57 pick ups are cool, added wood on the neck angle and can live with indigo blue. Skinny slim profile though, would have loved a meatier one. *Retrofitted with modified flat-pickguard (made by Mic Sis Guitar Spot). Original molded pickguard were notorious for breaking. Its been 10 years now since the refin and that nitro is really holding up well which is a bummer. Duane You Don't Love Me iso track solo. The 2015 trad neck was definitely too big for my hands. 2013 std feels just right. 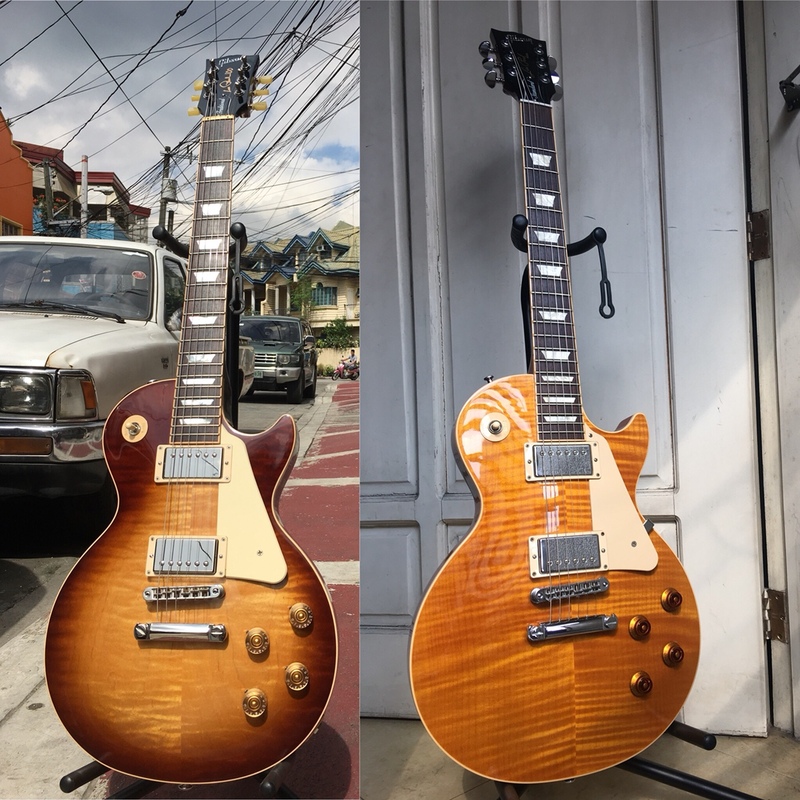 So boys and girls...i guess nakita nyo na yung mga NAMM 2019 videos about the revamped line of Gibson guitars. Ano tingin nyo? 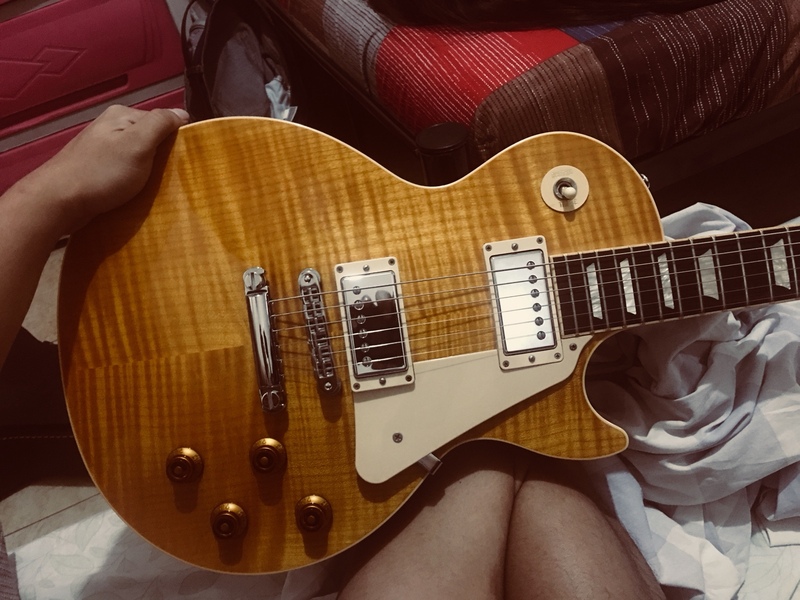 I can't wait to try the 50's Les Paul kasi gusto ko malaman kung gaano sya kabigat. Hindi daw chambered body e. And i want to feel the neck kasi sabi '59 rounded neck daw. 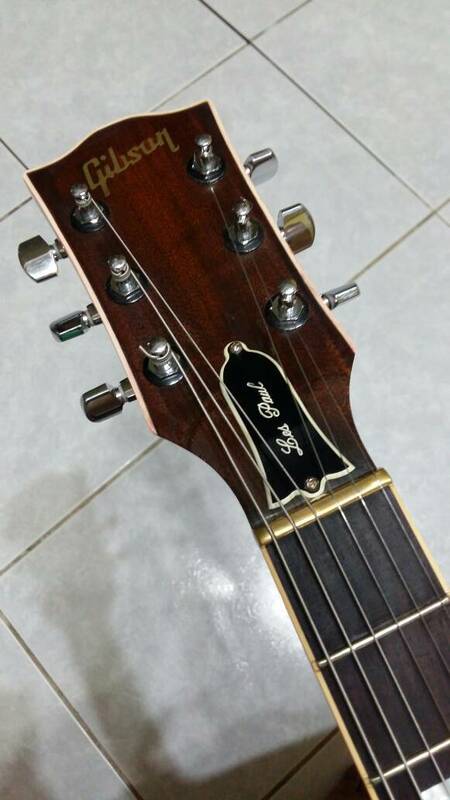 50's neck profile yung Les Paul ko pero i don't think it's the 59 rounded. Mid of 2019 daw sya irerelease so i hope when i get to travel again to the US or Japan later this year maka subok ako. Bad Behavior has blocked 75735 access attempts in the last 7 days.